20 plus years of hands-on computerized system auditing and computer system validation regulated industry experience – Call Us Today! 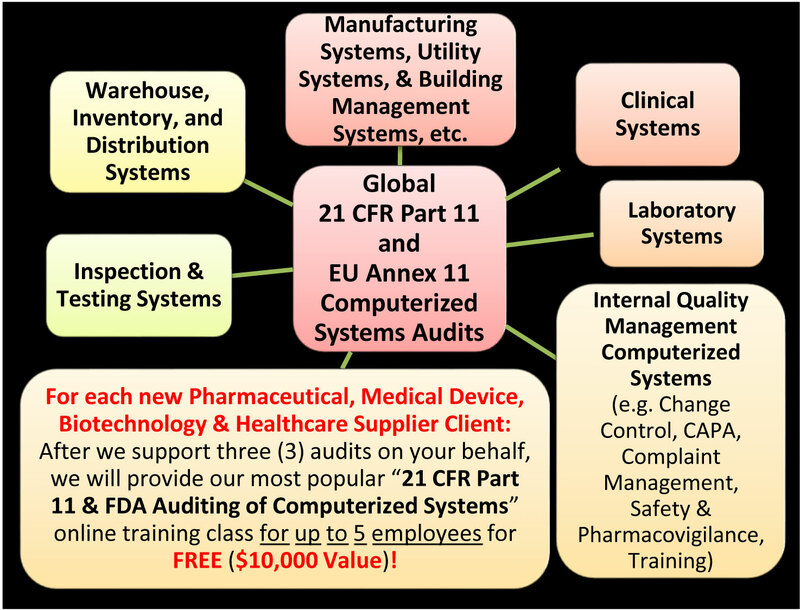 Conducting 21 CFR Part 11 and EU Annex 11 computerized Systems Audits is a very important and challenging activity for Pharmaceutical Drug, Medical Device, Biotechnology and Healthcare Supplier companies. To be effective, it requires direct applicable knowledge and hands-on industry auditing experience with regulatory requirements for computerized systems, computer system validation life cycle industry experience and knowledge, and the ability to assess internal quality system requirements to determine the adequacy and effectiveness of the Quality Management System against regulatory or international requirements.